Kindertage. (Kammermusik Nr. 3). By Wilhelm Killmayer. 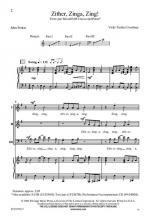 For flute, viola, electronic organ, piano, accordion, zither, guitar and percussion (5 players). This edition: ED 6473. Contemporary Music. Score (also performance score). 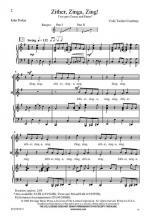 Composed 1973. 16 pages. Duration 7 minutes. Published by Schott Music (SD.49006343). ISBN 9790001068734. Geschichten aus dem Wienerwald op. 325 (Walzer). By Johann Strauss, Jr. (1825-1899). Edited by Wilhelm Lutz. For orchestra (flute (piccolo), oboe II, clarinet II, bassoon I, bassoon II, horn I, horn II, horn III, horn IV, trumpet III, trombone I, trombone II, tuba, timpani (percussion), harp, zither). This edition: DOM 309-17. Orchestra Music. Domesticum. Salon orchestra supplement (additional parts for full orchestra). Composed 1868. 50 pages. Duration 11 minutes, 30 seconds. Published by Schott Music (SD.49028891). ISBN 9790001027991. Petersburger Schlittenfahrt op. 57 (Galopp). By Richard Eilenberg (1848-1927). Edited by Franz Holzfurtner. For Zither. This edition: CRZ 60001. Guitar/Plugged Instruments. 5 pages. Published by Edition Cranz (SD.49028525). ISBN 9790204004676. 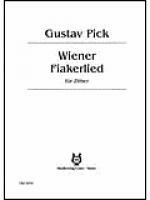 Wiener Fiakerlied. (mit Textbeilage). By Gustav Pick. For Zither. This edition: CRZ 50112. Guitar/Plugged Instruments. Text language: German. 3 pages. Published by Edition Cranz (SD.49028504). ISBN 9790204004515. With Text language: German. 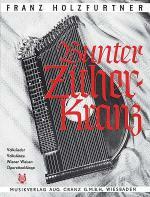 Bunter Zither-Kranz (Volkslieder, Volkstanze, Wiener Weisen, Operetten-Klange). Edited by Franz Holzfurtner. For Zither (also for accordion, guitar (accompaniment), violin and mandolin). This edition: CRZ 50049. Guitar/Plugged Instruments. 50 pages. 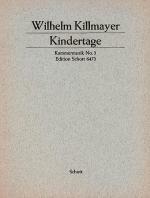 Published by Edition Cranz (SD.49028445). Take advantage of this over-stock pricing while supplies last. ISBN 9790204004072. Die Muhle im Schwarzwald op. 52 (Ein Idyll). By Richard Eilenberg (1848-1927). Edited by Franz Holzfurtner. For Zither. This edition: CRZ 50030. Guitar/Plugged Instruments. 8 pages. Published by Edition Cranz (SD.49028432). ISBN 9790204003945. Heinzelmannchens Wachtparade op. 5. (Munchner Stimmung). By Kurt Noack. For 2 zithers (Zither II). This edition: BSS 38051. Guitar/Plugged Instruments. Individual part. 4 pages. Published by Schott Music (SD.49023251). ISBN 9790001109710. Heinzelmannchens Wachtparade op. 5. (Munchner Stimmung). By Kurt Noack. 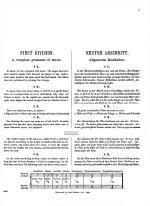 For 2 zithers (Zither I). This edition: BSS 38050. Guitar/Plugged Instruments. Individual part. 4 pages. Published by Schott Music (SD.49023250). ISBN 9790001109703. Oberlienzer Weihnachtsmesse by Oswald Kranebitter. Various Sacred. 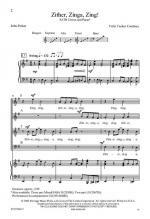 For Men's choir and Instrumental accompaniment (guitar, harp, zither, bass ad libitum). Set of parts. Published by Doblinger Music Publishers (DB.55-00196-ST). Geschichten aus dem Wienerwald. (Walzer). By Johann Strauss, Jr. (1825-1899). Various concert music. For strings ([2(Piccolo).2.2.2-4.3.3.1], Zither, Harp, Drum, Percussion and strings). Viola part. Op. 325. Published by Doblinger Music Publishers (DB.DM-01105-VA). Geschichten aus dem Wienerwald. (Walzer). By Johann Strauss, Jr. (1825-1899). Various concert music. For strings ([2(Piccolo).2.2.2-4.3.3.1], Zither, Harp, Drum, Percussion and strings). Violin 2 part. Op. 325. Published by Doblinger Music Publishers (DB.DM-01105-V2). Geschichten aus dem Wienerwald. (Walzer). By Johann Strauss, Jr. (1825-1899). Various concert music. For strings ([2(Piccolo).2.2.2-4.3.3.1], Zither, Harp, Drum, Percussion and strings). Violin 1 part. Op. 325. 8 pages. Published by Doblinger Music Publishers (DB.DM-01105-V1). Geschichten aus dem Wienerwald. (Walzer). By Johann Strauss, Jr. (1825-1899). Various concert music. For grand orchestra ([2(Piccolo).2.2.2-4.3.3.1], Zither, Harp, Drum, Percussion and strings). Set of parts. Op. 325. 140 pages. Published by Doblinger Music Publishers (DB.DM-01105-SET). ISBN 979-0-012-15187-6. Geschichten aus dem Wienerwald. (Walzer). By Johann Strauss, Jr. (1825-1899). Waltz. For grand orchestra ([2(Piccolo).2.2.2-4.3.3.1], Zither, Harp, Drums, Percussion, Strings). Score. Op. 325. 61 pages. Published by Doblinger Music Publishers (DB.DM-01105-PA). Geschichten aus dem Wienerwald. (Walzer). By Johann Strauss, Jr. (1825-1899). Various concert music. For strings ([2(Piccolo).2.2.2-4.3.3.1], Zither, Harp, Drum, Percussion and strings). Extra double bass part. Op. 325. Published by Doblinger Music Publishers (DB.DM-01105-KB). Geschichten aus dem Wienerwald. (Walzer). By Johann Strauss, Jr. (1825-1899). Various concert music. For strings ([2(Piccolo).2.2.2-4.3.3.1], Zither, Harp, Drum, Percussion and strings). Cello part. Op. 325. Published by Doblinger Music Publishers (DB.DM-01105-C).